← Number 130a Brixton Road 1881 – Mrs Hamilton, Dressmaker. The London Kilting Co.
Kelly’s Directory 1881 tells us that at 134 Brixton Road was Gilbert Hamilton Wilkins, a surgeon. 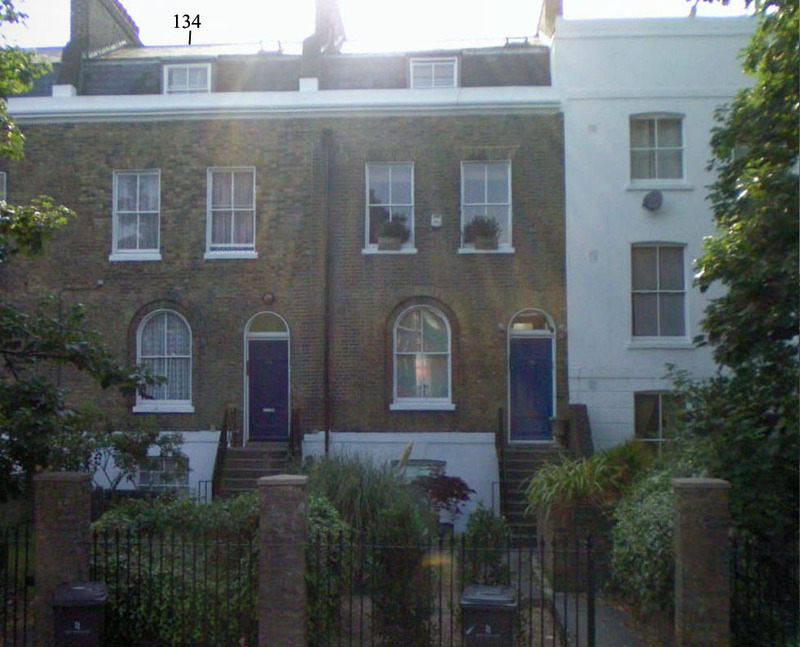 On the Census of 1881 we can see Mr Wilkins living in this property with his family. Generally Brixton road was inhabited by fairly well-to-do home owners in rather sizeable Victorian houses. Mr Wilkins, a surgeon would have been no exception. Ten years later in 1891 the Wilkin’s have more children and are living at the same property. In researching the Wilkins family I noticed that their youngest son Geoffrey who is named on the census above was killed in 1915 in the Great War. He is named on the All Souls Church, Twickenham war memorial. The below document is taken from here. The column on the right of the table above suggests that Geoffrey’s father Gilbert Wilkins died in 1898, he would only have been in his late forties, I wonder why this was?